Being a coffee professional I’ve been spoilt with incredible coffee experiences. 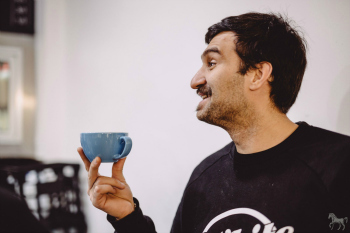 I’ve savoured some of the finest coffees from all over the world, enjoyed espressos with world champion baristas, cupped with award winning producers, and sipped cappuccinos in cafes where the specialty coffee movement begun. But my best, most enjoyable coffee experiences are at home with my wife. And they are special. From the day I buy a new bag of beans, go home and open it for the first time, we are assessing its aroma. We’re usually looking for vibrancy and hope that this will carry into the cup for days to come. The romance of home brewing has already begun and we’re reading the label thinking about the last coffee we had from that country and region, and hoping that this next cup is going to be memorable. 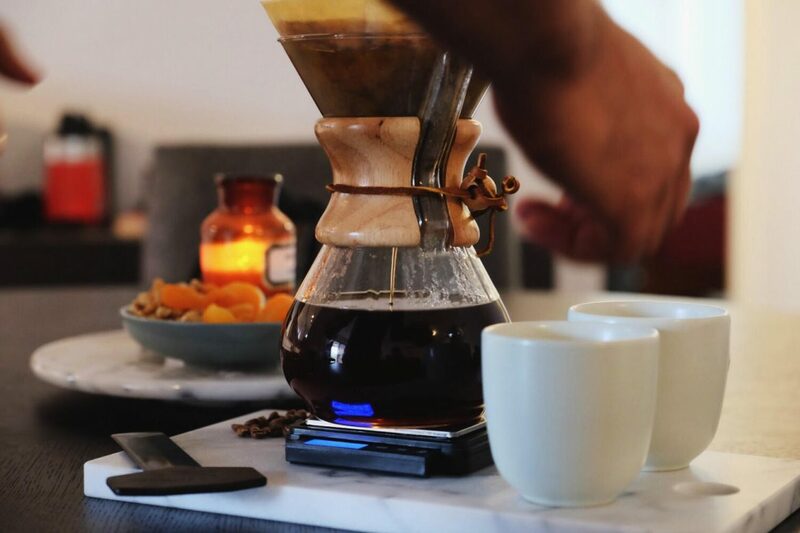 Next I grab my Chemex, which is my preferred home brewing style as it imparts a unique body, makes plenty of coffee for two and looks simply breathtaking. I start grinding the coffee and at this stage the aromas are really starting to build excitement of what it will be like in the cup. Brewing at home for me is all about enjoying the process. 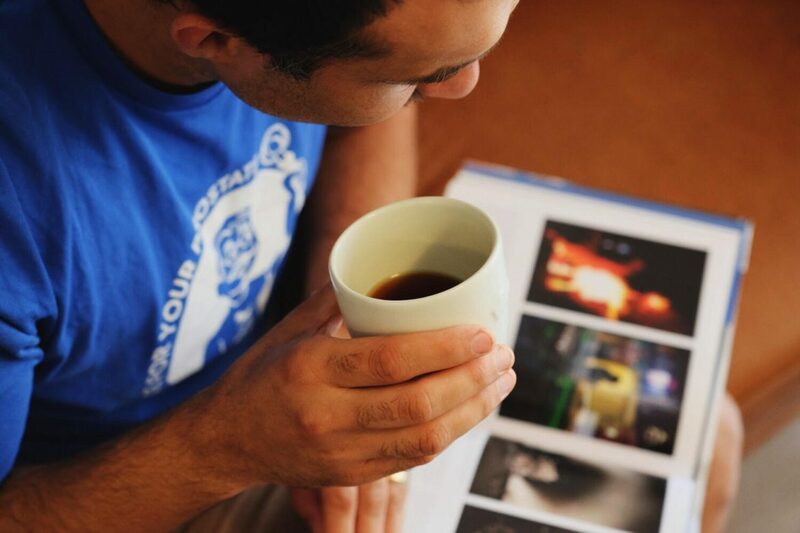 There are usually no time constraints, I have no customer orders, so I like to soak in the experience and watch the coffee change at every stage. I serve the coffee and we sit down to enjoy it and chat about many things, especially about the coffee. After brewing and enjoying the coffee I usually take a mental imprint of what the coffee was. How it tasted, its acidity quality, its body character, did it display any unique terroir characteristics reminiscent of where the coffee was grown. But it does not end there. I look forward to the next time I drink this coffee and im interested to see how this coffee will age over the next 2 to 4 weeks. Coffees can soften and sweeten and really display their true character when allowed to age. They lose a bit of youthful vibrancy and toasty freshness for sure, but they can gain refinement and softness. This is why I cherish brewing at home with my family and friends. I encourage everyone to try home brewing, it can be the best moments of your day when you put time aside to make something special and savour it with those you love. 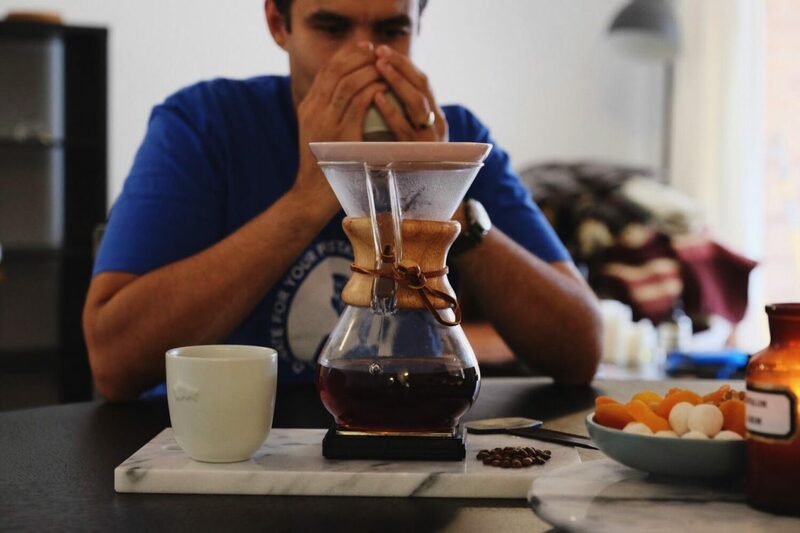 Whether you’re an espresso or filter coffee brewer, taking the time to enjoy the flavour of your coffee at home and seeing how it develops over time is something I hope you try. 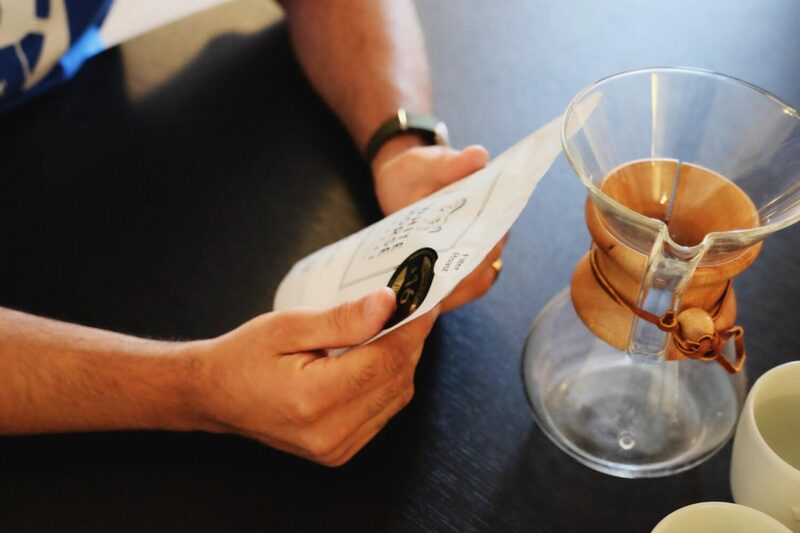 If you would like more information on how to get an affordable home brewing setup or would like advice on coffee, you can ask a question here (below), email us here, or ask one of our staff in store. You can also find all the gear you need for home on our online store here. 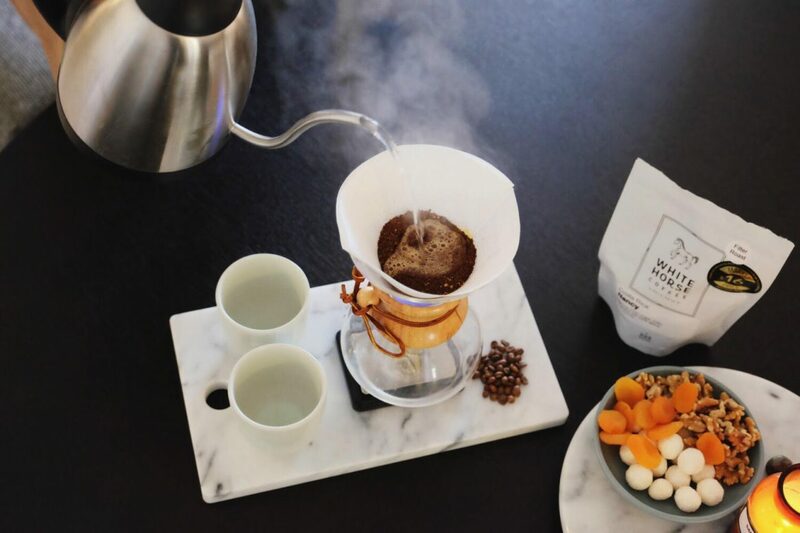 Start Brewing at home, it’s the best coffee you will taste. I to enjoy a great filter coffee when I want to relish in the whole coffee experience. When I open the bag and the genuine aromas hit my olfactory, my eyes widen and my mouth remembers the last coffee experience and clean my V60, put in the filter paper, then boil the kettle. I grind my beans just right and then after measuring the coffee out I slowly run in my water. The kitchen fills with the smell of fresh coffee, then I put the remainder in the window to share the aroma. Coffee to me is an experience not just a drink for energy. WOW, such an evocative response Min. It’s so crazy, whilst i think I’m in the minority because coffee for me is all about the pure sensory enjoyment, i actually get little stimulation from coffee if any at all. I mean if i had 5 double ristretto’s back to back I’m sure i would be beaming, but i don’t drink coffee for the pickup, although when i was a teenager i certainly did, how times change. I personally find that coffee affects me less now than ever, call it building up an immunity, i think its just that I’m so much more sleep deprived now than ever that no amount of coffee can perk me up, but i suppose every cup is counting for something and on big days i can notch up to 40 sips or 10 full cups. Such is the life of the coffee roaster. I also find it so powerful the sensory and memory that we build up around coffee. From our earliest contact with it, no matter who we are, everyone has a particular taste, style, or culture around it, and most importantly it always involves friends and family, and that is the most important part of coffee, getting together, sharing experiences, and enjoying the amazing qualities of the greatest beverage the world has ever known. Thanks for saying so Wade, we need to catch up!